Get yourself to MD Bagel Fragel ASAP. If there are any great bagels this far west of New York, I haven’t found them yet. 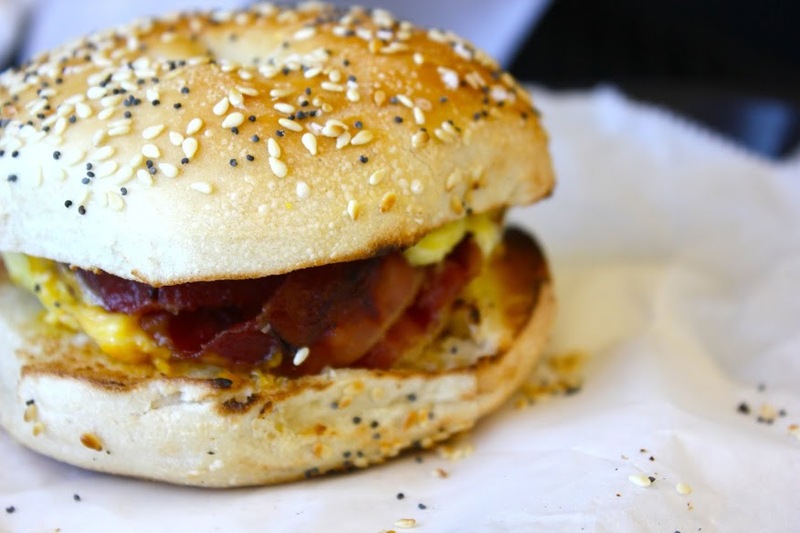 East coast college students have brought a lot of great things to Ann Arbor, but, unfortunately, a great New York bagel spot isn’t one of those things. 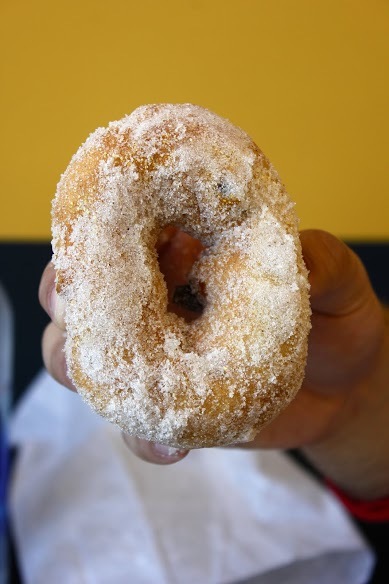 Michiganders rave about the doughnuts and cider in the fall, but the harsh reality is that no doughnut in Michigan can give a great New England doughnut a run for its money. Neither of those things change the fact that we still crave bagels and doughnuts on Sunday mornings (or every morning). Ann Arbor has a solution to satisfy both of your breakfast cravings in one glorious creation, the fragel. The fragel is simple. It is just normal bagel dough with some raisins thrown in deep fried and coated in cinammon sugar. The result is delicious, hot and chewy bagel dough with a crisp fried outside. The raisins in the dough add a little bit of sweetness but really do not add or take away much from the fragel. Just pick it up and eat it like a normal doughnut with nothing on it and you’ll be in fragel heaven. The fragel is more proof that everything is better fried (as if we needed it). As the name suggests, MD Bagel Fragel does have bagels too. They’re good. Not New York City good, but also not Bruegger’s bad. MD Bagel Fragel sits at the top of my Ann Arbor bagel rankings, although the competition isn’t exactly fierce. Employees at the shop wear shirts that read, “Our bagels are out of this world.” Unfortunately, so is their location. If not for that, MD Bagel Fragel would still be the Ann Arbor institution that it once was. Not in the mood for a bagel? Check out Quickie Burger for breakfast.